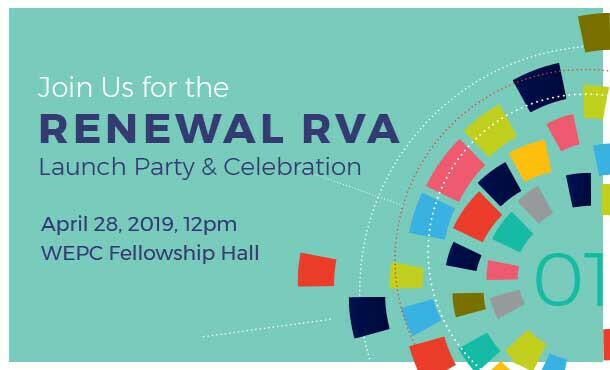 On April 28th we’ll launch Renewal RVA! It’s a celebration you won’t want to miss. We’ll share a potluck meal together, hear testimonies from our 15-week study and also learn how we can be united together to reach our neighbors and community.